Multi color reindeer atlers are perfect for any holiday event or celebration. 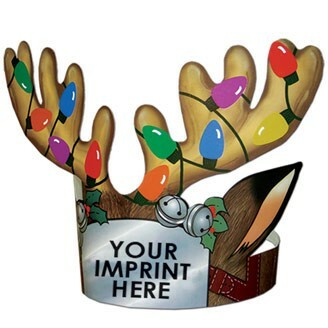 Kids and kids at heart, will love wearing these pre-printed stock graphic antlers with an imprint for your custom logo included. Made from high density, white paper board, liquid laminated front for a high gloss finish. Product ships flat.